Republican hopeful for Lt. 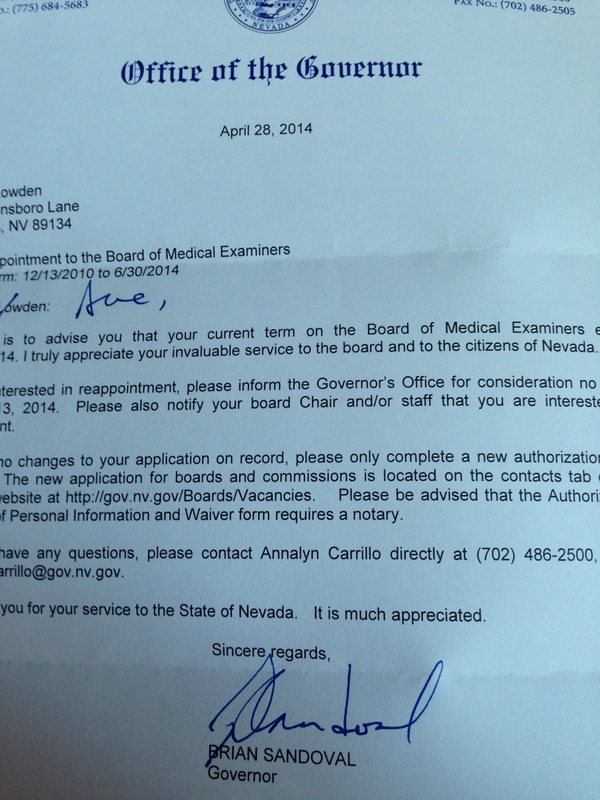 Governor Sue Lowden says she’ll step down from the Nevada Board of Medical Examiners regardless of the outcome of the primary election next month. Lowden says serving on the board is a tough job that causes her much anguish and she predicts tough times ahead as regulators tackle the role of physicians in medical marijuana. But Lowden is pleased Governor Brian Sandoval, who supports her primary opponent Mark Hutchison, sent a nice letter inviting her to return. Lowden says she’s told the governor and her board colleagues that June will be her final meeting.